Technique for this week – coloring your quilts with pencil! This was an auction quilt I made for our guild auction. 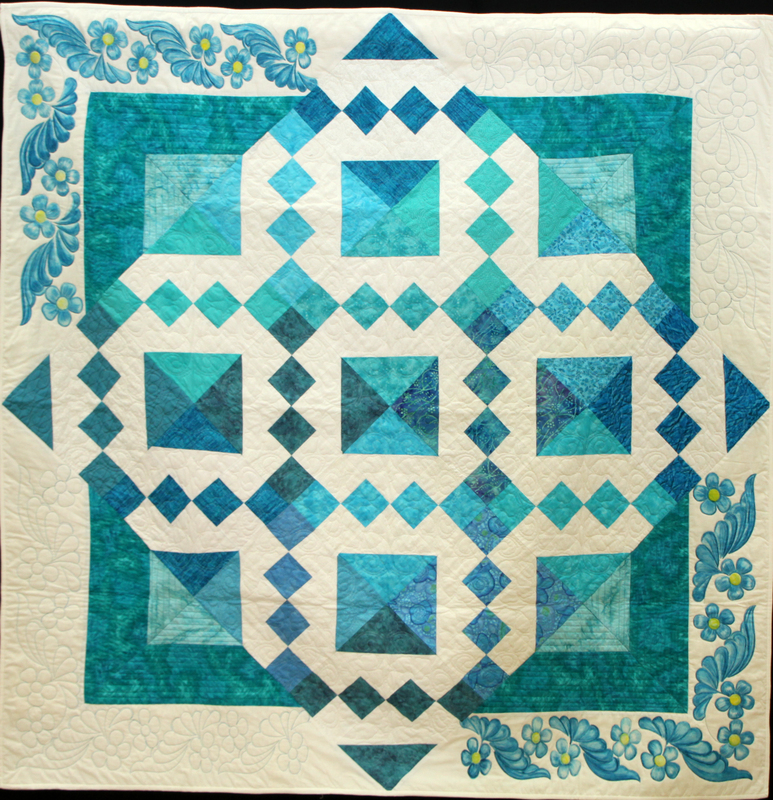 I wanted something different so I found a wonderful pattern for quilting the border and then used my Derwent Inktense pencils to color the border to enhance the quilt design. 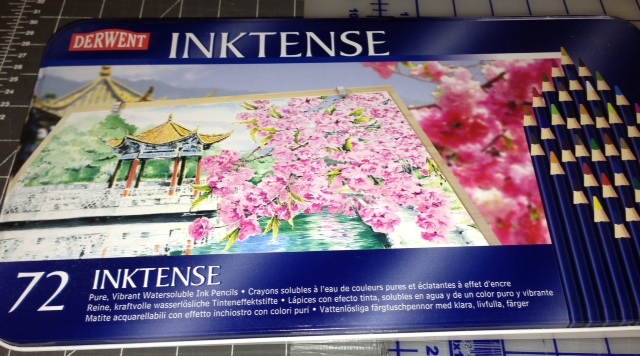 Using the Derwent pencils, which resemble water color dependent upon how much water is applied is so simple. Color the areas you want, you can shade to your hearts content, then brush with a small brush dipped in water until you get the effect you want. Just be careful (ask me how I know), too much water will run the color thru to the back of the quilt. So Easy! AND IT’S PERMANENT!!! This is the container that the pencils come in if you buy the 72 color box. I highly recommend them. Other pencils, like Prisma or even the cheapest from the grocery store will work with this technique but will not give you the intensity of color that you get from the Derwent pencils. Most other pencils must be sealed with a textile medium of some sort. Tomorrow I will show you how you can use these pencils to make a quilt, combining them with embroidery from your embroidery machine. QUILT FOR THE DAY This is the quilt for today that I am quilting. 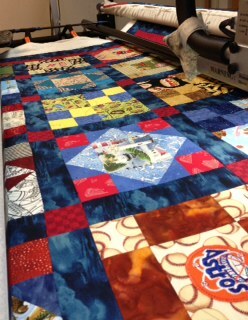 It is much like a t-shirt quilt and as little quilting as possible was my objective. There were a lot of memories built into this quilt that I felt needed to be the highlight. Wondrful blog! I found it while browsing on Yahoo News.